Ontario Door Repairs of the GTA offers garage door, gate and operator repair, replacement, sales and service. Our years of combined professional experience can handle all of your garage door and gate problems you encounter, big or small. 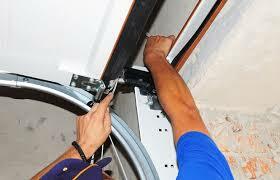 Our technicians are trained to repair and install any model of garage door or operator. We pride ourselves on the fact that you can trust our technicians to get your garage door up and running without up-selling you parts you don’t need. We carry only the top product lines from the most trusted manufacturers in the industry. Last but not least, Ontario Door Repairs strive to provide the best customer service in the Toronto and the GTA area. Toronto Garage Doors and Gates’ experts can quickly determine whether or not springs are the cause of your garage door repair needs. Properly installed, quality springs will ensure your door opens and closes efficiently. They are beneficial to a safely working and secure garage door. We use high-quality, heavy-duty torsion springs for all our garage door repairs. More often than not, springs break after the door has closed. In more dangerous instances, a spring can suddenly snap as the door is coming down, causing it to drop quickly. Your garage door is heavy and can be hazardous if not handled correctly. In these cases, call Toronto Garage Doors and Gates as soon as possible and keep a safe distance until your door is repaired. Call our Professional team: While the internet can provide a vast amount of articles and videos showing you how to handle this project, be aware this is a very risky and dangerous project. Call Toronto Garage Door repair: Our professional experienced garage repair service technicians will arrive at your home, diagnose your situation, and provide a cost effective solution in a timely manner. We are available for you 24-hours a day/7-days a week for your emergency garage door repair and spring replacement service. We have solid relationships with garage door opener, parts and door manufacturers. We only carry their top product lines. This means we can offer you great value in return for the repair and services we offer. Whether you need a new panel, springs, rollers or a brand new garage door, trust Ontario Door Repairs can take care of your needs. To make sure that your garage door opener still works with a high efficiency, it is important to see that all maintenance procedures are followed. If you want to go ahead with routine maintenance checks, give us a call and we will schedule an appointment for you with our technicians in Toronto. We care about our customers. That is why we always attend to any concerns that you may have immediately. We will help maintain the durability and the performance of your garage door. We will also offer safety checks for free as part of our inspection. Not only that, our technicians will make sure that you are aware of the preventive maintenance procedures. We will take a look at your garage and all of its components, specifically the opener, to make sure that they are all in good working condition and you and your family are safe. Regular maintenance of your garage door opener is a very important aspect. We recommend that you always follow the procedure as mentioned in the manual to ensure that the durability of the door is maintained and its safety as well. The user manual states each maintenance procedure regarding your garage door openers. Most of these are something that you can do yourself. However, there are a few things that require an expert’s assistance. This can be done by asking for help from expert service providers, such as ourselves. Below are some standard maintenance procedures that everyone should perform on a regular basis. 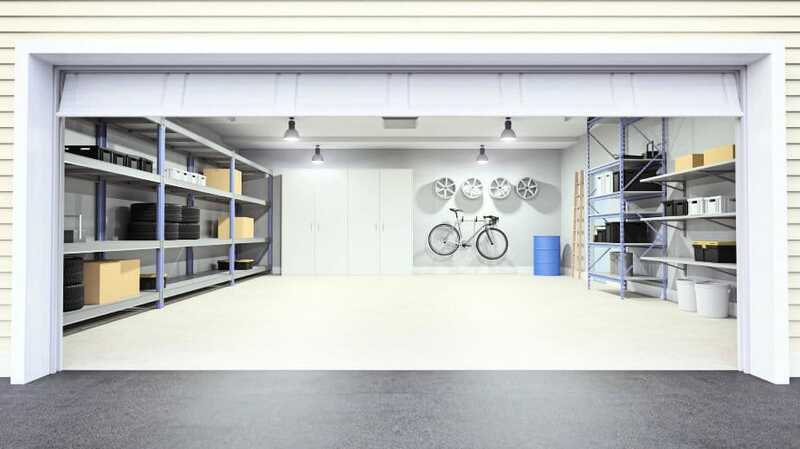 Check every component of your garage door. This includes cables, fasteners, brackets, tracks, and supports. Check to see if you can find any bent, loose, or worn parts. If you do find some but you don’t know how to fix it, you can always call us. Most of the basic fixes are easy and you can do it yourself. Some may be as easy as tightening some screws. If you don’t want to take risks, we are here for you and would love to help you out. The next major thing you should do is to check the cord connections, particularly the connection between the opener and the electrical outlet. If it is frayed, you will have to get it fixed immediately. If you find that it is a difficult task for you, feel free to get in touch with us and we will immediately send over our technician. Check the batteries in the remote to make sure they’re in working condition. If not, replace them immediately. Test the auto reverse system of the opener. Do this every month. If this isn’t possible because you’re too busy or out of town, test the auto reverse system once every two months. If you need help with the electronic alignment, talk to your technician. Apply lubricants on the moving parts. Pay special attention to the screws, chain, and rollers. Test to see if the manual release handles are working. This enables you to open or close the garage door when your remote opener is not working. If you think something may be wrong with the door, you can call Toronto Garage door 24/7 and we would also advise you to never tighten or loosen the pullets, cables, or the door springs as these are under extreme tension and can potentially cause serious injuries. You will be glad to know that we are always available to help you, 24 hours a day. If you note our reviews by previous customers, you will see that we have managed to get consistently high ratings. Our technicians have all undergone background checks and have a number of years of experience under their belt. Whether you need gate part repair, or boost your security and curb appeal, our trained technicians have the experience and work ethic to meet all your gate needs. Our company works with only high-quality parts, materials and products from reputable manufacturers. Our 14+ years in business proves our track record for providing excellent gate services to customers like you. Call us today for a free estimate. You want to keep your home secure, but you also want a gate that is distinctive in style. We offer a variety of prefabricated gate styles. We can also create a totally unique design based on your specifications. A custom residential gate can reflect your good taste and ads curb appeal to your property.